Starting Preschool can be a little frightening. There is so much to do, see, and learn for children and parents. At Something Extra Preschool the fear is soon replaced with excitement and enthusiasm! 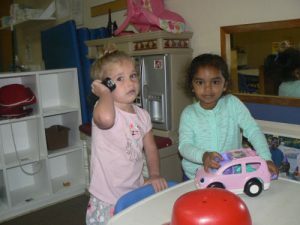 Something Extra Preschool and Childcare is the perfect place for your child to develop social skills, small and large motor skills, imagination, and self esteem. Children in this program grow up forming friendships that tend to last beyond the preschool years. 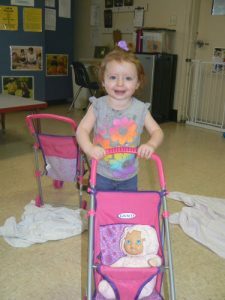 Something Extra Preschool's Toddler Program is built for children coming out of an infant program, but any toddler is welcome. We want your child to experience learning among children their age as soon as possible. Helping your child get started early is one of our specialties. Our Toddler program gladly accepts children while they are still in diapers and will help to toilet train them when they are ready. Space is limited in this special program so sign up early! Your child enjoys an ever-expanding world with so much more to see! Classroom activities grow as they do, and we have much more to offer while they develop. We expect your child to explore their surroundings every day as their curiosity grows. That's why our number one priority is a secure and conformable environment for your child. Our parents know their child is well taken care of when they drop them off each day. We work very closely with our parents to handle any special needs for the children, working to make things as easy on the parents as possible. Our staff is professionally trained and passionate about children. They work hard to get to know your child and help to make them feel like part of our family.